Invader is not a fiction hero or the protagonist of a thriller novel this time. 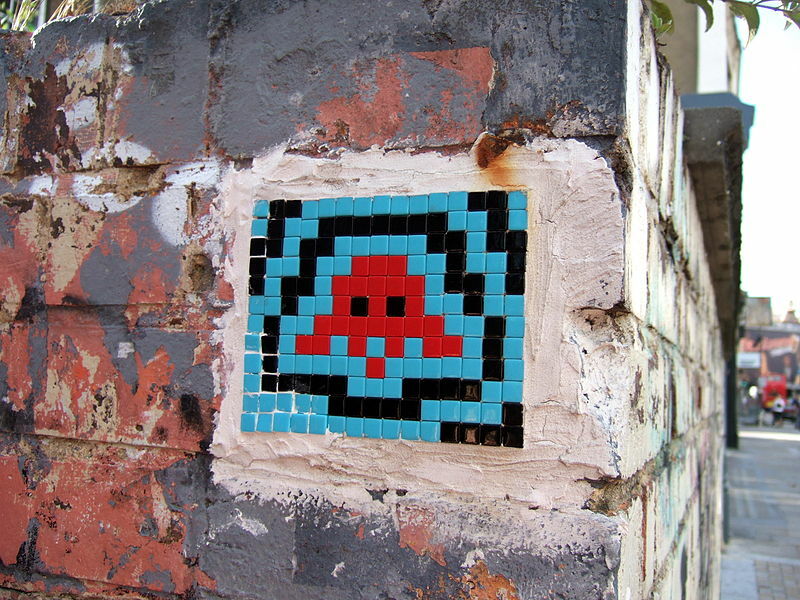 Invader is the appellation given to the French street artist who has been invading cities around the world with his mosaics of Space Invaders characters and icons from other 1970s video games. 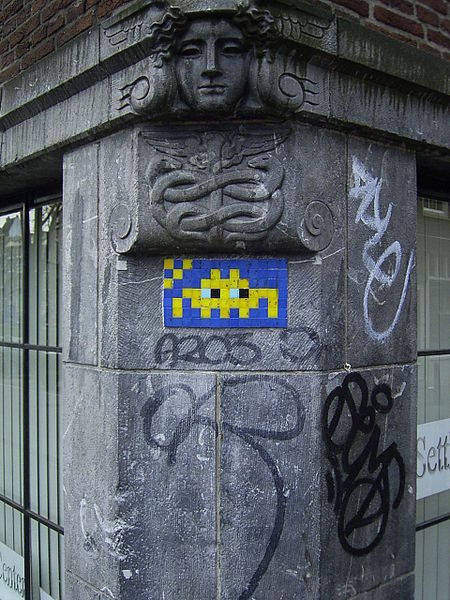 Beginning in his hometown of Paris in 1998, which remains the most “invaded” city to date, “Invader” uses small coloured square mosaic tiles to form space invader characters that he documents in books as an “invasion” using maps to help people track his works. Built in advance, the mosaics are installed after a strategic location is chosen for them according to many criteria. For example, in Montpellier, the locations of mosaics were chosen so that they form an image of a giant space invader character when placed on a map. 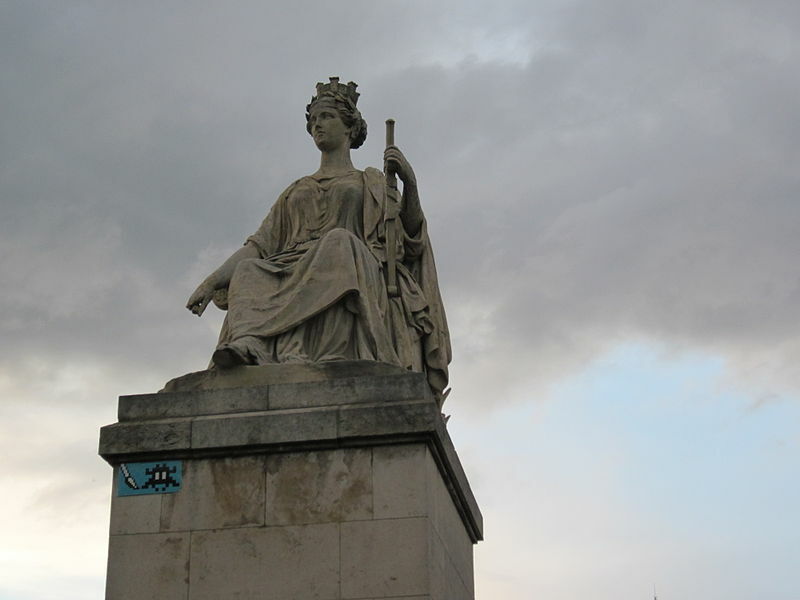 Today, the Invader’s works are spread to 31 cities in France as well 22 European cities, among which London, Rome, Berlin, Lausanne, Amsterdam, Monaco. His colourful characters in mosaic tiles have even reached São Paulo, Los Angeles, New York City, Miami, San Diego, Toronto, Bangkok, Tokyo, Katmandu, Varanasi, Melbourne, Perthand and Mombasa.